New York Police Department Detectives Claire Codella and Brian Haggerty are working hard to redefine their relationship. The one-time partners worked well together in the past, but when Haggerty drunkenly expressed his feelings for her one night, followed by Codella’s long-term absence while fighting cancer, the two became estranged. Now, they’re working it out, and their new relationship has become a comfortable routine. 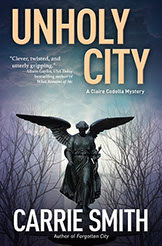 At the beginning of Unholy City, the third in the Claire Codella series by Carrie Smith, Det. 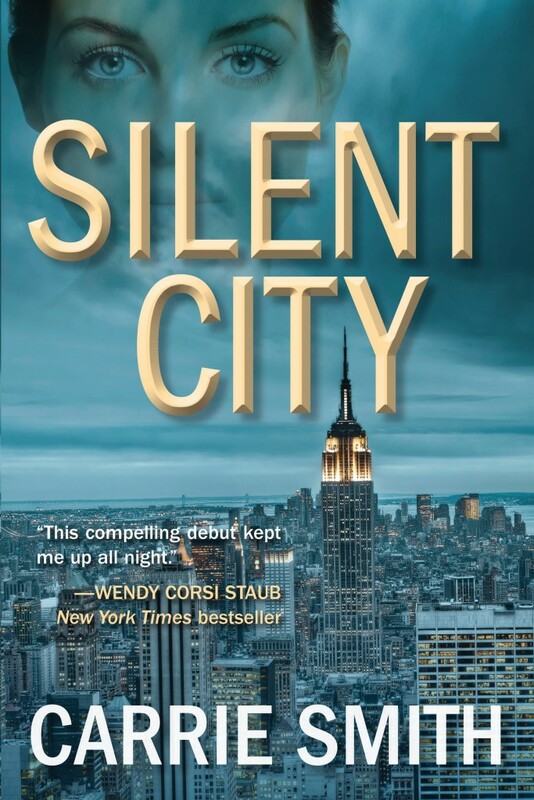 Haggerty is called out late one night to investigate a murder at St. Paul’s Episcopal Church on the Upper West side of Manhattan, he knows he’ll need help. Det. Codella is assigned, and she quickly finds a second body outside the church. Working on the theory that the killer must be one of the six church members present at the time of the murders, the detectives investigate, reminiscent of a good game of Clue, to determine who had the motive, means, and opportunity to carry out the murders. 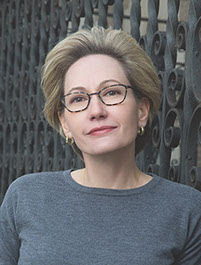 Ms. Smith's Codella Series is often classified as police procedural, and that is not inaccurate as detectives work methodically to solve murders. But it would be unfair to readers and to Ms. Smith’s work to discount the characters that she has developed, particularly Claire Codella. This passage, early in Unholy City, demonstrates how Ms. Smith is able to expertly fuse the fast-moving, page turning pace of the police procedural with the development of character. Det. Codella is certainly the protagonist, but the other characters aren’t without depth. Each of the six suspects is dynamic and complicated, able to compel sympathy and ire. 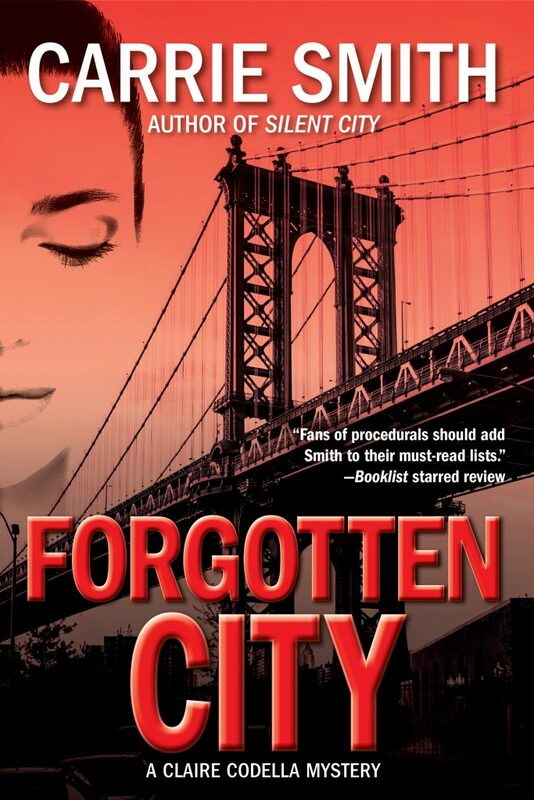 Unholy City is the third in the Codella series, following Forgotten City and SilentCity. Each book has been better than its predecessor, and I hope that continues with a fourth. Smith, Carrie. Unholy City, Crooked Lane Books, November 7, 2017. A copy of Unholy City was provided by the publicist. No compensation was received for this review.